Ideal for opening, refurbishing, repairing smart phones, tablets, notebooks, cameras, and gaming consoles. 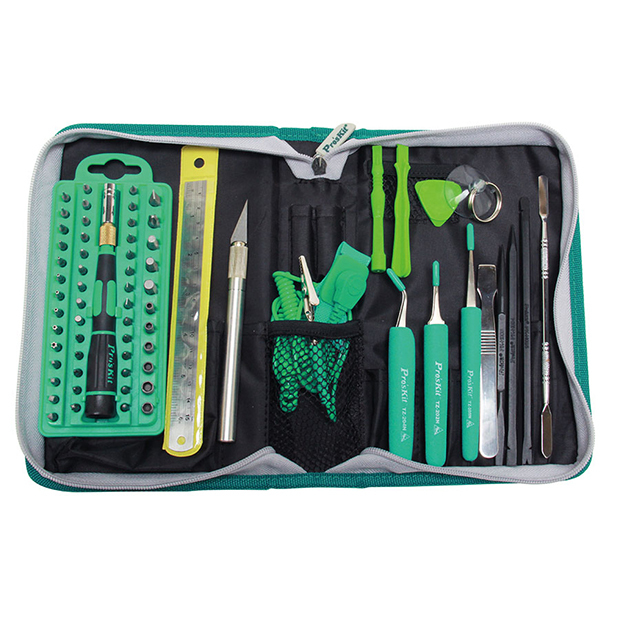 The PK-9112 is a complete, comprehensive kit. It includes the essential tools for the 3C repair and refurbish market. It allows opening of tablets, notebooks, electronic device cases and most branded video games such as Apple, HTC, Samsung, Sony, Microsoft, Nintendo, Sega and more.